Sound fishy? We assure you, it’s not! Garfish gift vouchers are a perfect option for those hard to buy for friends and relatives this Christmas. They’re also a great way to say thank you to employees or work colleagues. Vouchers can be purchased to any value. 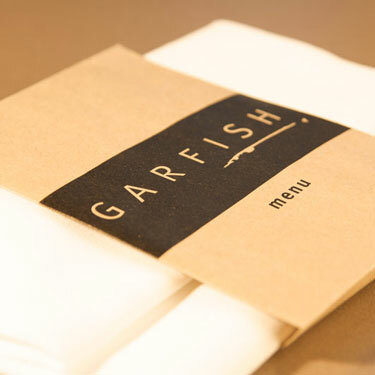 Whether it’s breakfast, lunch or dinner you’d like to treat someone, giving a Garfish voucher this Christmas will make light work of your gift shopping list and guarantee that special someone will be impressed. They’re available for all three of our Garfish restaurants and they’re simple to purchase: either visit our restaurants in person, call the restaurant directly or purchase it online here. Vouchers are valid for six months from the date of purchase and can only be redeemed at the restaurant they were purchased from. If you’re really lucky, you might even get invited along!